Made in the U.S.A., they feature a forged, all-steel head and handle design. 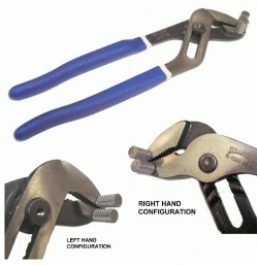 The handles are covered with a nylon vinyl “Shock Reduction” grip for increased operator comfort and improved durability. 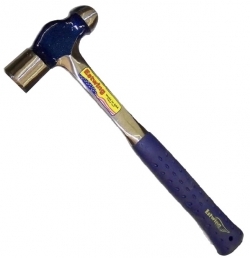 The hammers are designed to provide a maximum blow with a limited swing. thickened edge strong as steel. Fits better in brake wheel hand wells. * New baseball bat end prevents possible slipping off of hands when pulling. * Solid positive locking system. bending, loss, and potential tripping hazard! 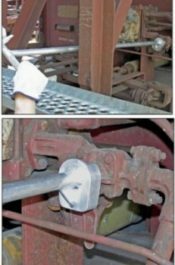 This tool is used to open and close the Cut-Out Valve Handles on valves located within the car body of certain types of freight cars.